The jailbreaking community has been losing sleep counting the days and nights until the full power of iOS 4.3.1 could be unleashed and finally an easy untethered solution for your iDevice is here, courtesy of the iPhone Dev Team. Untethered in this case means that you won't need to reapply the jailbreak after every reboot. 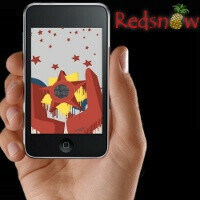 Redsn0w comes on both Mac and Windows with the promise to set your handset free. The only devices, which can't be jailbroken on iOS 4.3.1 with redsn0w remain the iPad 2 and the Verizon iPhone 4. The reason for not being able to jailbreak the iPad 2 lies in the exploit which was used previously via Limera1n or SHAtter, but that hole seems to have been fixed by Apple. And Verizon iPhone 4 owners will have to wait simply because, well, they are still stuck on 4.2.6. A tethered option, which requires you to go over the jailbreaking process again after a reboot, has been available for quite a while, but that's the first true untethered solution. Jailbreaking gets you low-level access to the system granting you the freedom to install third-party apps which haven't passed approval for once. Many of the early benefits of setting your device free now come as a standard on Apple products – including multi-tasking and folders, but some features like free wireless tethering remain possible only after gaining low-level access. So while we compile a short instructional post on the whole process, why don't you voice your opinion on jailbreaking your Apple product: what's your reason?